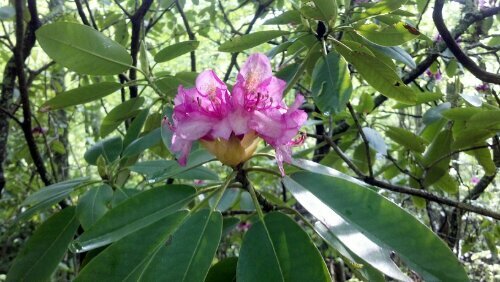 Today I finally saw some rhododendrons blooming! 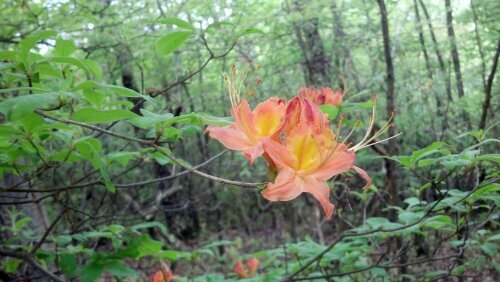 Plus some flame azaleas and mayapples also came out. 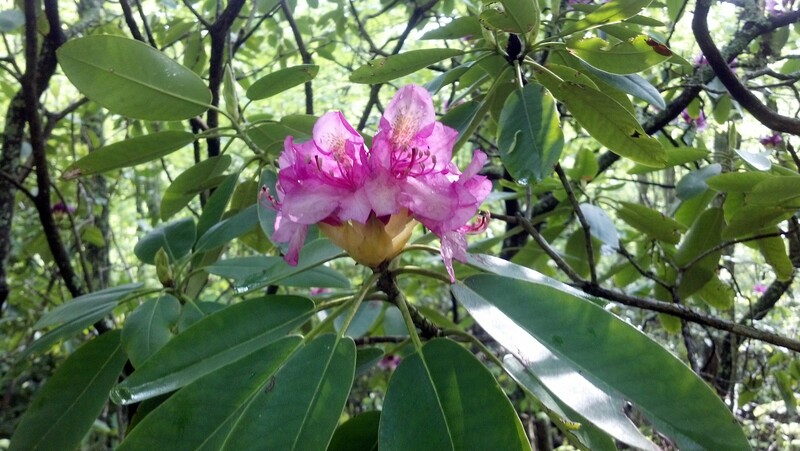 A couple of days ago I saw tulip trees blooming. Burrito showed me his Appalachian flowers field guide that he had picked up in town previously so I was able to look at it today and identify most of the wildflowers I’ve already seen blooming too. Today’s 12.5 mile hike went over Little Brushy Mountain, Walker Mountain, and Brushy Mountain. It was very humid this morning so the highlight of the day was the Holston River. It’s finally warming up enough to get in the river all the way, although it’s still quite brisk. A bunch of us went swimming and I was even able to wash my hair after I’d sat submerged in the water long enough to get used to the temperature. We set up camp near a stream so I’ll have the water to listen to all night. Cocoon and Grin and Embers decided to night hike and so hung around doing martial arts demos until it was dark enough to leave.